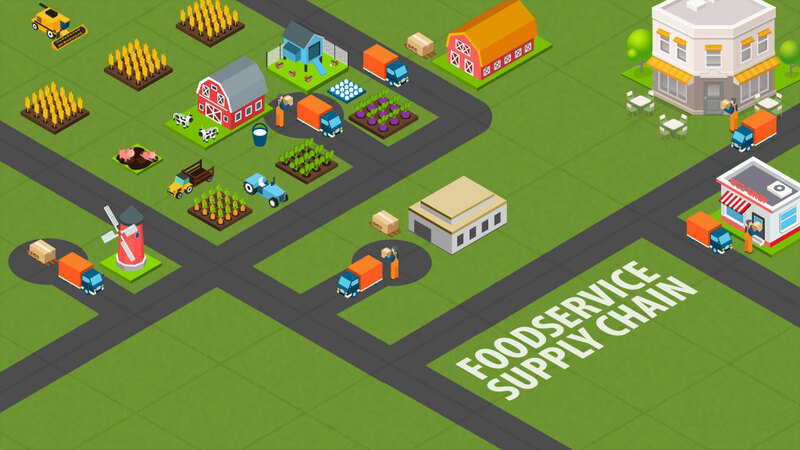 Is there any supply chain more important than the foodservice supply chain? It supplies us with the very material that makes up and fuels our bodies. So how healthy is the food supply chain, and what can we learn from it? Food Logistics magazine reports on a survey conducted by HAVI Global Solutions and Technomic which provides some answers. There are some interesting findings on the challenges being faced and some clues to what makes for a successful foodservice supply chain. The foodservice industry is facing its own challenges, shifting consumer preferences are a big one, organic, local and gluten-free have shaken things up considerably. Consumer tastes are more diverse than ever. And of course, there’s government regulation, particularly the Food Safety Modernization Act which requires the industry be more vigilant with regards to food safety. Many of these challenges are out of the hands of foodservice companies. The Food Logistics article notes that logistics is also a big concern, with distribution costs up across the board. That’s not surprising, as many industries are grappling with the same challenge. One of the points highlighted is that the maturity of the supply chain has a strong influence on performance (except in fast food which has unique problems). “Maturity” in this context refers mainly to the degree of integration among the various supply chain functions and departments. Less mature, less connected and integrated supply chains are struggling to compete with the more integrated ones. It’s in this realm that foodservice companies can begin to take control of their supply chains and manage them more effectively. Cullen Andrews, vice president of national accounts at Dot Foods, Inc. Collaboration enhances foodservice supply chain efficiency. The article goes on to note some examples of collaboration among foodservice companies and their partners. For example, one distributor is now preparing dedicated and isolated pallets of raw chicken for its foodservice customers, to minimize health risks. Another food company prepares pallets in its warehouses to help customers cross dock. There’s a lot more in the article and I encourage you to read it. One of the key takeaways is that sharing uniform, accurate and timely data, is critical to enabling end-to-end supply chain visibility. This is where a real time, multi-party network excels. Also, sharing information not only about the usual supply chain events, but about processes and activities, can lead to significant opportunities for collaboration in other areas that help both parties reduce costs and speed up the supply chain. A multi-enterprise social network can be a great catalyst to exactly that kind of communication. It might be profitable to consider what your partners can do for you to make your job easier; and most importantly, what you can do for your customers to ease and enrich their lives. Next Post:Warehouse Replenishment: Friend or Foe?